Greetings! Chris and I are excited to be a part of the Nebraska Diocese and serving Holy Apostles in Mitchell, Nebraska, even though we’re actually Lutheran. Chris grew up on a farm north of Aurora, Nebraska and I grew up in a variety of places (my dad was in the army), but I call Colorado home since that’s where my parents retired and I graduated from high school. Chris and I were both ordained in 1987, but since we went to different seminaries we didn’t meet until after we were ordained. I began my pastoral ministry at St. Peter Lutheran Church in Bassett, Nebraska while also serving two small United Methodist Churches at Newport and Rose, Nebraska as part of a co-operative ministry. In 1992, I was called to serve as pastor at First Lutheran Church of Avoca, Nebraska. Chris began his pastoral ministry at Trinity Lutheran Church in Papillion, Nebraska. In 1990, he was called to serve Immanuel Lutheran Church at Orum, Nebraska and Emmaus Lutheran Church at Kennard, Nebraska. It was after I moved to Avoca that Chris and I began dating and in 1995, we married. In 1997, Chris accepted a call to serve Grace Lutheran Church in Cook, Nebraska, so that we only had a 20 minute commute instead of an hour. Fun fact: during this time, we actually maintained two parsonages and alternated between the two every other week! Seeking an opportunity to serve together (and live in one parsonage!) we then accepted a call to serve Messiah Lutheran Church in Aurora, Nebraska in 2002. Where Chris also served half-time at United Lutheran Church in Hampton, Nebraska. After 13 years in Aurora, and desiring an opportunity to be closer to our granddaughters, we began exploring call possibilities in Western Nebraska. After we had begun the call process at Calvary Lutheran in Scottsbluff, we were contacted by the Nebraska Diocese about the possibility of our also serving as co-priests of Holy Apostles in Mitchell. After much discussion and prayer, we accepted the call to Calvary and continued our discussions with Holy Apostles. In March 2015, we began our ministry at Calvary and on June 1, 2015 we formally began our ministry at Holy Apostles. There was a bit of a learning curve, but we are definitely enjoying our work and ministry at both Holy Apostles and Calvary. 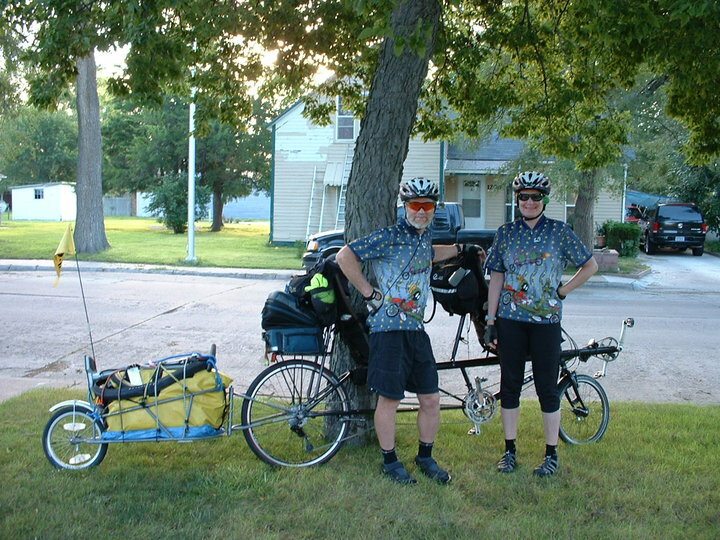 Chris and I enjoy geocaching, traveling on our recumbent tandem bicycle and spending time with family, especially our two granddaughters.